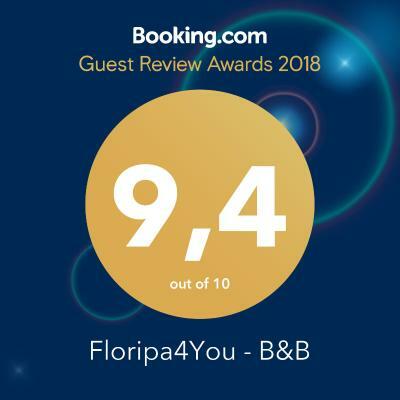 Lock in a great price for Floripa4You - B&B – rated 9.4 by recent guests! I enjoyed the location of this bed and breakfast. It was a quick walk to the downtown area, which had a fun night life. The provided breakfast was good and the yard was a fun little space. Shower was nice. The property was lovely and in a super nice and quiet neighborhood. The hospitality was exceptional!The couple Dani and Andre are the best hosts and catered for our every need, gave the best tips of were to go for the best beaches, places to eat and visit. They even took care of us when we got sick. We felt very welcomed and still very chilled. The decor is really cool, as it reflects their personalities. We definitely recommend, and look forward to next visit! Família muito acolhedora e prestativa, sempre dispostos a atender as necessidades do hóspede, para proporciona-lhe uma boa estadia. Atendimento ótimo, instalações confortáveis, ambiente agradável. Tudo maravilhoso, superou minhas expectativas, o anfitrião foi maravilhoso, café da manhã muito bem preparado! Otimo serviço, O Andre dono da Casa superou todas as expectativas , Cafe da manha de hotel, com varias opções e ambiente limpíssimo. 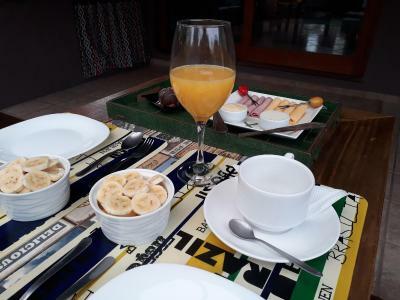 Café da manhã excelente, localização maravilhosa e os anfitriões muito atenciosos. Parabéns!!! Atendimento maravilhoso do André e sua esposa. Nos acolheram muito bem, nos deram dicas e roteiro. Café da manhã preparado por eles com muito capricho, servido com vista para o jardim e piscina da casa, uma delicia! O quarto bem espaçoso, banheiro grande com banheira, fez diferença em nossa estadia. Com certeza voltaremos! Hospitalidade do anfitrião, a localizaçao e instalaçoes foram otimas. 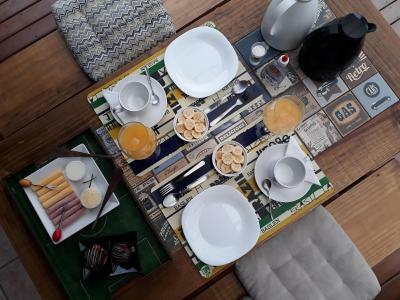 One of our top picks in Florianópolis.Floripa4You - B&B is set in Lagoa da Conceição, 5 mi from the center, 3.1 mi from Praia Mole and 7.5 mi from Praia do Campeche. Featuring a shared lounge fitted with a fireplace, the bed and breakfast offers free WiFi throughout the property,a swimming pool and a garden. At the bed and breakfast all rooms come with air conditioning. A continental breakfast can be enjoyed in the garden. The front desk can offer helpful tips for getting around the area. Kiteboarding Brasil is 1.6 mi from Floripa4You - B&B. Rendeiras Avenue is 1.2 mi from the property, while Praia da Joaquina is 2.5 mi away. Both Lagoa Iate Club and Lagoa da Conceição center are just 1,650 feet away. When would you like to stay at Floripa4You - B&B? House Rules Floripa4You - B&B takes special requests – add in the next step! Floripa4You - B&amp;B accepts these cards and reserves the right to temporarily hold an amount prior to arrival. Floripa4You - B&B accepts these cards and reserves the right to temporarily hold an amount prior to arrival. Please inform Floripa4You - B&B of your expected arrival time in advance. You can use the Special Requests box when booking, or contact the property directly using the contact details in your confirmation. Breakfast was cool and garden is good. The room was decent, nothing fancy. Our bed was pretty stiff and not the most comfortable. We had to unlock and lock three doors to leave, which was a little annoying. (The safety aspect was great, but a little over the top). Only thing: Had to pay cash, because international credit card wouldn’t work.